Desarrollador: Cave Music Group Inc.
Requisitos del sistema: Musify FM Ilimitada Música 3.7 es compatible con iPadMiniRetinaCellular-iPadMiniRetinaCellular, iPhone4S-iPhone4S, iPad834-iPad834, iPad611-iPad611, iPadPro97-iPadPro97, iPadAir2Cellular-iPadAir2Cellular, iPad76-iPad76, iPadMini4-iPadMini4, iPad72-iPad72, iPadPro97Cellular-iPadPro97Cellular, iPadMini5Cellular-iPadMini5Cellular, iPad74-iPad74, iPad612-iPad612, iPad23G-iPad23G, iPhoneXS-iPhoneXS, iPadMini3Cellular-iPadMini3Cellular, iPadAirCellular-iPadAirCellular, iPadMini-iPadMini, iPadThirdGen-iPadThirdGen, iPhoneSE-iPhoneSE, iPodTouchFifthGen-iPodTouchFifthGen, iPadPro-iPadPro, iPadFourthGen4G-iPadFourthGen4G, iPhone8Plus-iPhone8Plus, iPad2Wifi-iPad2Wifi, iPad73-iPad73, iPad878-iPad878, iPhone7-iPhone7, iPhone6Plus-iPhone6Plus, iPad75-iPad75, iPhone5s-iPhone5s, iPad71-iPad71, iPodTouchSixthGen-iPodTouchSixthGen, iPadProCellular-iPadProCellular, iPhoneXR-iPhoneXR, iPhone6sPlus-iPhone6sPlus, iPhone8-iPhone8, iPhone6s-iPhone6s, iPadAir2-iPadAir2, iPadMini3-iPadMini3, iPhone5-iPhone5, iPadMini5-iPadMini5, iPadAir3-iPadAir3, iPadAir-iPadAir, iPhone5c-iPhone5c, iPadThirdGen4G-iPadThirdGen4G, iPad812-iPad812, iPadMiniRetina-iPadMiniRetina, iPadAir3Cellular-iPadAir3Cellular, iPhone6-iPhone6, iPadFourthGen-iPadFourthGen, iPhoneXSMax-iPhoneXSMax, iPhoneX-iPhoneX, iPadMini4Cellular-iPadMini4Cellular, iPad856-iPad856, iPhone7Plus-iPhone7Plus, iPadMini4G-iPadMini4G. Dispositivos Android y Windows Phone son compatibles cuando se accede a esta página a través de sus flatforms. Explore over 30 million hot tracks and albums. Get access to millions of local and international music. Stream it via 2G/3G/4G, on your home, office or public wifiand download anything you want on to your phone. Search for millions of songs by title or artist or album name and play your song instantly. Enjoy access to music tailored to you plus see the latest music, charts and playlists. Have the ability to stream music on your device without an active data connection. 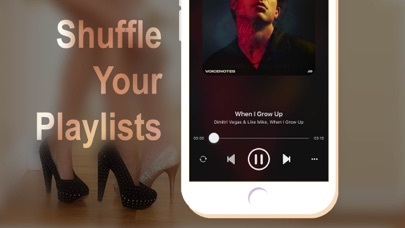 Create and save multiple playlists made from songs you are streaming or have downloaded from Musify or even old songs already on your phone to create unique playlists.